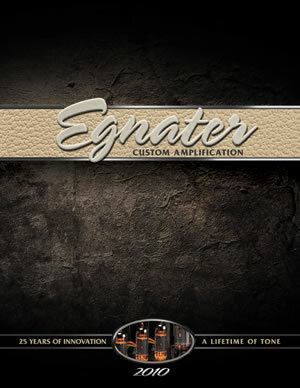 Egnater Amplification is solely the manufacturer. Our catalogs do not include prices. Musicians are encouraged to visit the Find A Dealer section of this Web site to locate their nearest Egnater Amps retailer. Resellers and retailers are encourage to call +1 323-277-4119 for more information once the Egnater Amplification Catalog has been recieved. NOTE: All non US catalog requests MUST include a valid E-mail address.